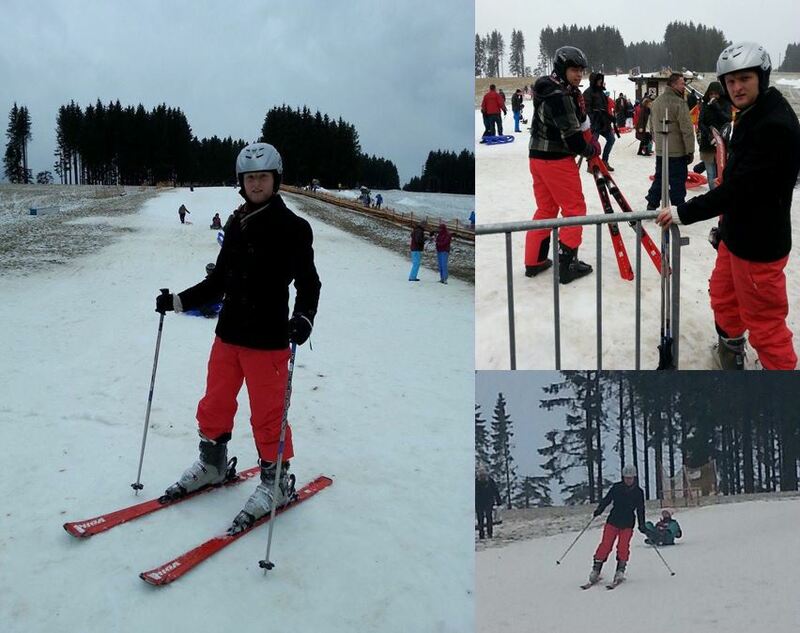 At December 22nd I drove from Haarlem via Neede to Winterberg, a town in the Hochsauerland district of North Rhine-Westphalia, Germany and a major winter sport resort. Well, most people that go there are beginners like me. Those with more developed ski or snowboard skills generally travel to the French, Swiss, or Austrian Alps (as a matter of fact, in 2 weeks I will travel to Gerlos, a beautiful ski resort in Austria). In the “Skigebiet Ruhrquelle” I made my first ever meters on skis. The slope was quite short and not so steep. It was filled with kids going down on slates. The first time, I went down not releasing the so-called “snowplough turn” I had “taught” myself via YouTube the night before. A few descents and crashes later, I felt much more comfortable. 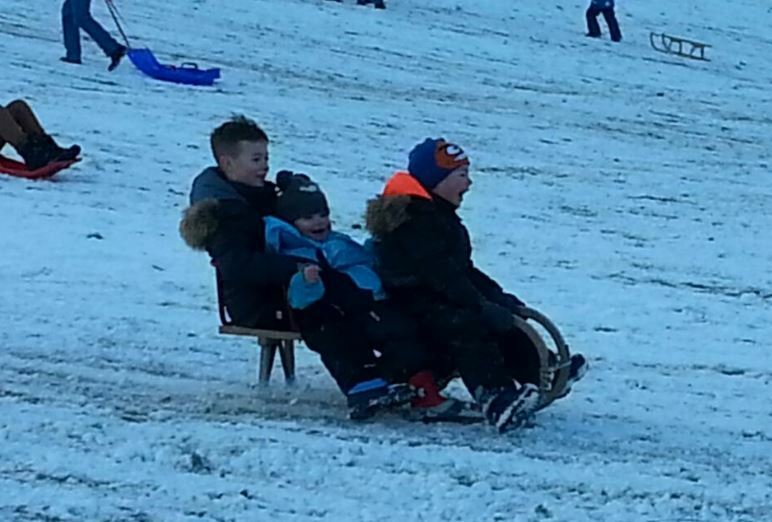 It felt amazing to whiz down, each time pushing myself a bit further, using the hill to speed up or brake. 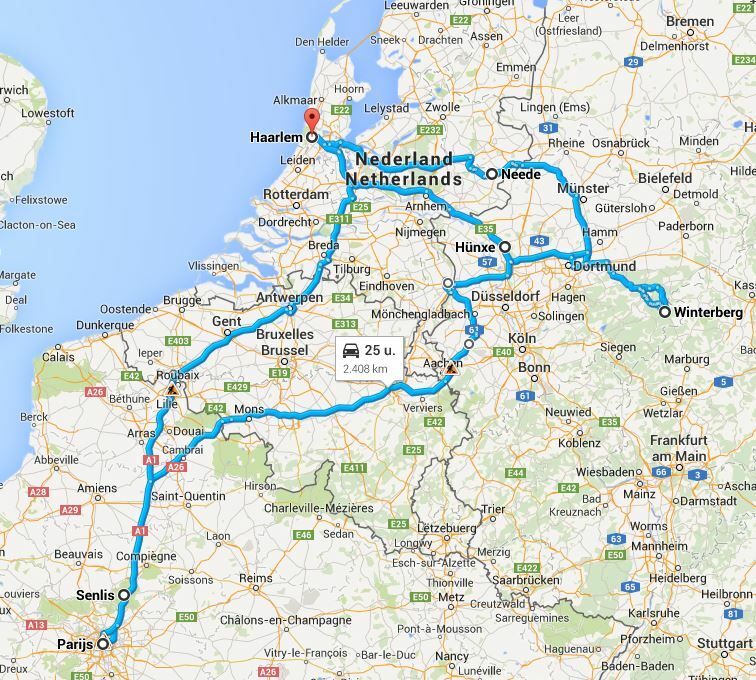 December 26th I drove back to Haarlem. Sarah would arrive with the Thalys from Paris, where she had arrived earlier in the morning. We had been apart for over half a year, so stating that it was “nice to see each other again” would certainly be a winning candidate for the biggest understatement of the year election. The other day we visited the Frans Hals museum in Haarlem. Frans Hals was a Dutch Golden Age portrait painter, known for his portraits of wealthy citizens and the so-called “civic guards” in particular. Officially, these guys (yep, only guys) helped to preserve order and defend the city. The audioguide, however, told us that they were particularly skilled in drinking and eating. It is interesting to note that Sarah and I only visited this museum when one of us had left already – stuff that is further away most certainly seems to be more interesting. In the evening we made the 5-hour drive to Winterberg. We had to take it easy, as it had started to snow and my Honda Hybrid had trouble climbing the Hochsauerland mountains hills. We spent the next day playing in the snow with my little cousins, playing indoor football, eating my uncle’s amazing Indonesian food and exchanging gifts. The absolute winner gift was the kinetic sand Sarah had brought from the U.S. After the youngsters had gone to bed, the adults took their chance to explore its perplexing characteristics. December 29th we said goodbye to my family. We drove to the German metropolis of Hünxe, where we met up with a colleague from Sarah’s work and enjoyed a delicious homemade lunch. We then drove on to Senlis, a beautiful French little city about 45 minutes north of Paris. We spent the night at a lovely bed and breakfast very close to the historic centre. In the cloudlessly blue but therefore also very cold morning we wandered through the old centre. At a huge market dozens of stalls offered fresh oysters. After paying the local cathedral a visit, we drove to Paris where we checked into a hotel with a (nice!) view of the Canal Saint-Martin. In the afternoon we visited Galeries Lafayette. With hindsight, I remember seeing surprisingly few cufflinks and ties. When we got out – an hour later – we found out that the men and women sections are divided into separate buildings. I think you know which one we visited. Afterwards, we visited Shakespeare and Company. Located right next to the Notre Dame, it is a bookstore that once was a gathering place for writers such as Ernest Hemingway and James Joyce. Also today, the bookstore has sleeping facilities where writers can spend the night. This place, like the next one we would visit, was the product of Sarah’s excellent research skills. I don’t know how she does it – I even questioned her about it – but she always manages to find the most interesting right-on-or-just-off-the-beaten-path places. Moreover, she knows not only where they are, but also when to visit them. Sarah also picked a place for our dinner: Bouillon Chartier. A very authentic, relatively cheap, a bit hidden and therefore easily to miss restaurant, offering traditional French cuisine. At Chartier, tables are shared between strangers. An amazing concept – we shared a table with a student from Vietnam and exchanged travel experiences. Also interestingly, the bill is scribbled directly on the disposable paper tablecloth. I ordered tête de veau – a calf’s head. The waitor asked me whether I was sure, clearly assuming that an unknowing tourist had failed to understand the French menu. 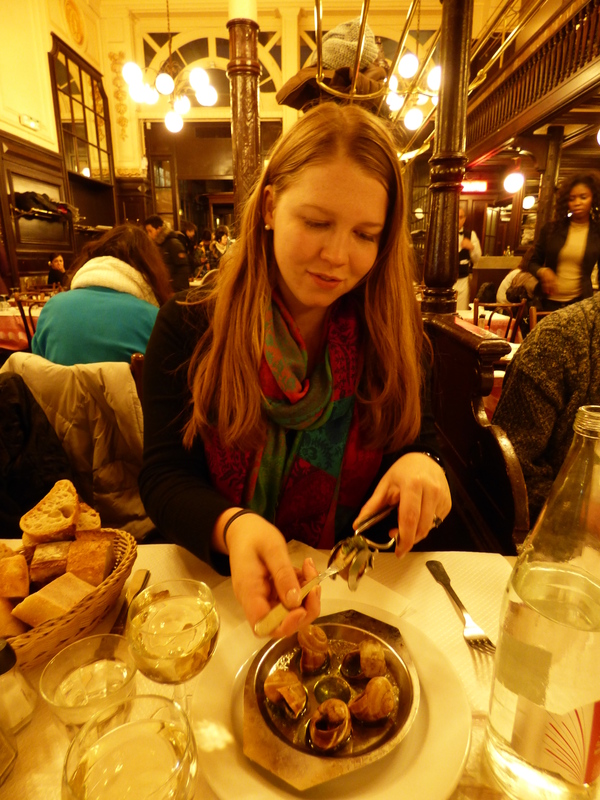 But I was sure – and it was quite good, definitely after the already excellent escargots we had for starters! Walking outside, I was once again amazed at Sarah’s researching skills. She had insisted on arriving early, around 5PM. We did not stay long – perhaps an hour – but a massive queue had materialised outside, extending from the inner courtyard to the streets, and around the corner, with expected waiting times far exceeding an hour (!). The next day we walked through the Galerie Vivienne, a covered passage built in 1823 featuring exclusive and expensive shops. Sauntering through the Palais Royal, passing the Louvre where we had to fight off some Gypsy pick pockets, crossing the Seine, we eventually reached Les Deux Magots, a famous café in the Saint-Germain-des-Prés area. It once had a reputation as the rendezvous of the literary and intellectual élite of the city. 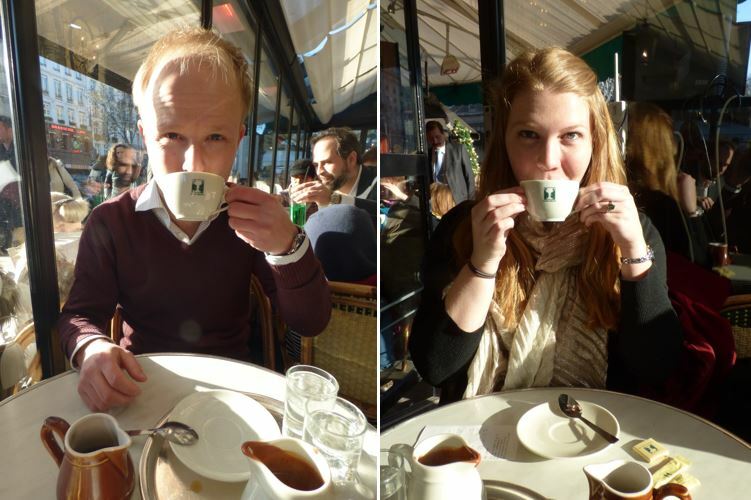 We enjoyed perfectly fine but very expensive cups of coffee (me) and hot chocolate (Sarah). After having browsed the Église Saint-Germain-des-Prés, we made our way back to our hotel. We spent most of New Year’s Eve on our hotel room. We didn’t mind not being on crowded streets – like we had been last year, in Berlin near the Brandenburger Tor – as it would be our last night together for the foreseeable near future. As New Year’s Eve is celebrated quite spectacularly at home, it was a bit unreal to notice that Parisians do not light any fireworks. 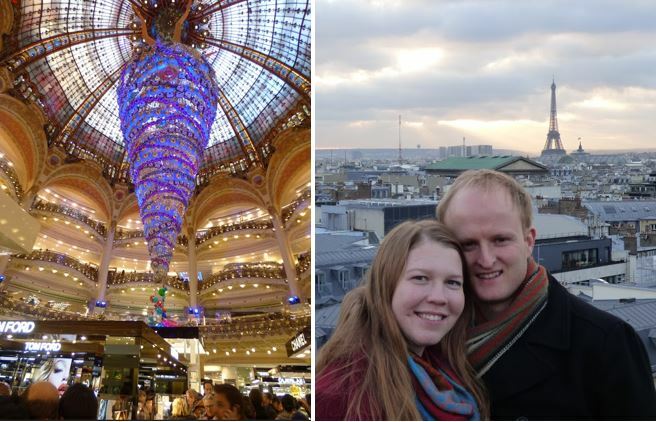 About 8 hours into 2015, I drove Sarah to the Charles De Gaulle airport. I hope I don’t have to do this many times more often. Not seeing your loved one for so long only to have to say goodbye again after a few wonderful days together is horribly and painfully unfair. Afterwards, I got to the car, made a right turn, and then drove for another 500 kilometers to my empty Haarlem apartment, ready for the next trip already long before I had unpacked my suitcase. This entry was posted in Sports, Travels and Trips and tagged Christmas, France, Germany, New Year's Eve, Paris, roadtrip, skiing, snowboarding, travel, travelling, trips, Winterberg.